Microsoft Dynamics 365 is the next generation of intelligent business applications that enable your organization to grow, evolve, and transform to meet the needs of your customers and capture new opportunities. To grow, business need the critical insight and agility that enables them to run efficient operations, take advantage of new opportunities, and offer exceptional customer experiences. The new Microsoft Dynamics 365 for Operations delivers a beautiful and intelligent new user experience seamlessly integrated with Office 365. It gives people real-time insights with embedded Power BI and through predefined workspaces and access to information on virtually any device, anywhere. This allows them to get the right information they need to do their jobs, make smarter decisions, faster, and be more productive. The new Microsoft Dynamics 365 for Operations is the first enterprise-class solution built on Microsoft Azure. It gives businesses the ability to harness the power of an intelligent, scalable, and secure cloud so they can grow at their own pace and scale operations globally. It also lets businesses take advantage of their existing technology investments by integrating with legacy infrastructure and administrative systems. Businesses can also expect a faster time-to-value with more predictable planning and implementation, and built-in management and monitoring tools. 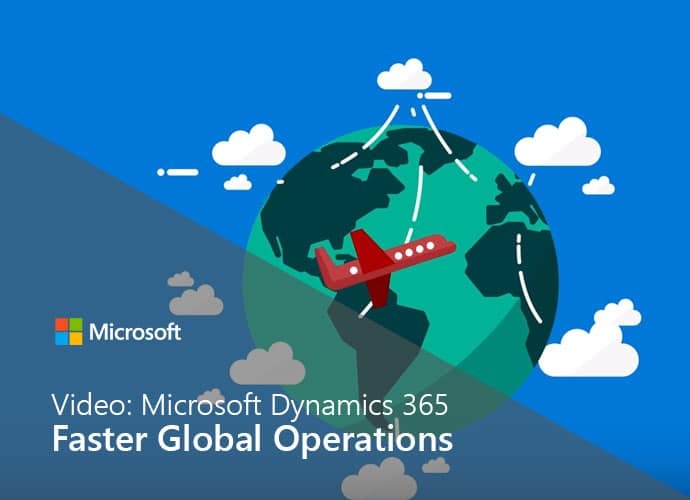 Microsoft Dynamics 365 helps organizations increase the speed of doing business so they can enable business growth, be more competitive, and deliver amazing customer experiences. Get started today with the leading Microsoft Cloud Partner focused on consumer brands, manufacturers, and retailers, Sunrise Technologies.